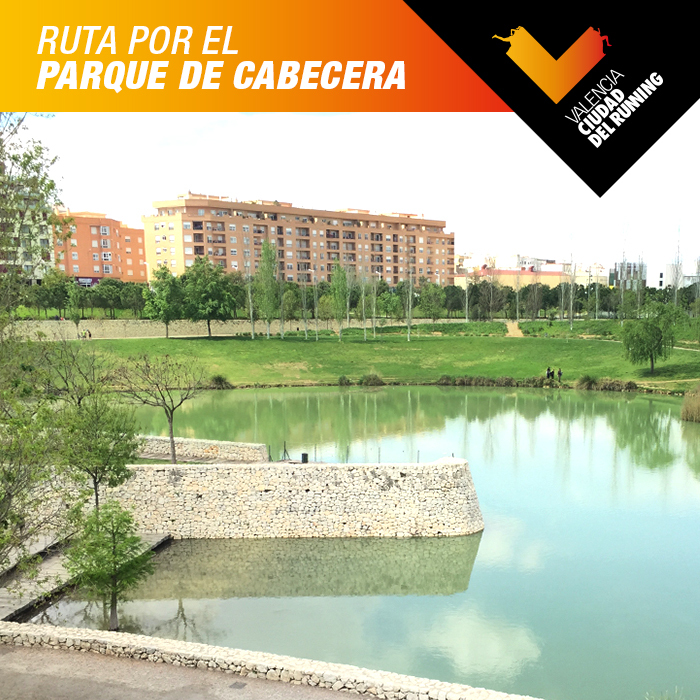 Valencia — ‘The Running City’ is the strategic concept for highlighting the city as an ideal destination for road runners and sport tourism. The city has just made yet another giant stride towards consolidating its world position. Crowning its many achievements over the last few years, Valencia has just become the city with the most IAAF Label trials. The International Association of Athletics Federations (IAAF) certifies the standard of the world’s best road races with its Gold, Silver, and Bronze labels, which take into account various sport and organisational aspects of trials. Achieving the award of the Bronze Label for the 10-kilometre Valencia Ibercaja Race and for the 15-kilometre Valencia Banco Mediolanum Night Race in June has brought the number of IAAF labels held by the city’s trials to five. The two latest IAAF labels come in addition to: the Bronze Label held by the 10-kilometre Valencia Trinidad Alfonso Race; the Gold Labels held by both the Valencia-Trinidad Alfonso EDP Marathon and Half-Marathon since 2016 (the last two being the first road races in Spain to be awarded this top IAAF distinction). 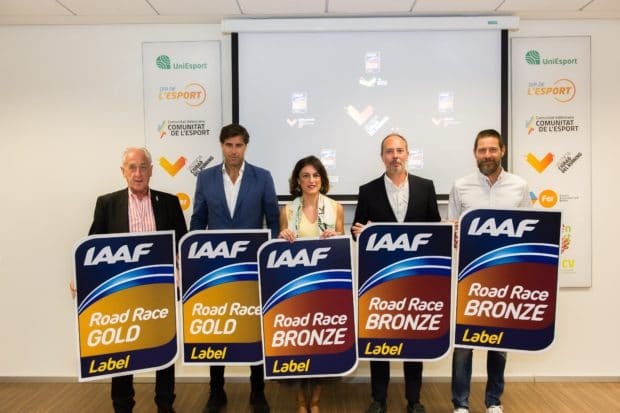 To sum up, the two Gold Labels and the three Bronze Labels put Valencia at the top of the world ranking for road running given that no other city holds so many international distinctions. 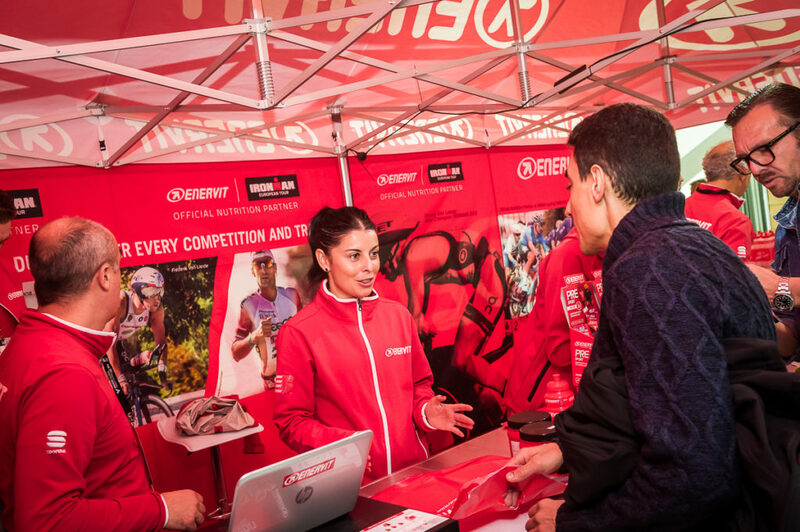 The 10-kilometre Valencia Ibercaja Race held in January 2018 was the tenth edition of the trial. Being ranked among the world’s ten best races for this distance with the award of the IAAF Label was yet another reason for celebration. “Sandra Chebet set the fastest women’s time for the year worldwide (30:57). No woman in Spain’s history has run the 10-kilometre distance faster”, said the Race Director, Álex Aparicio, who added that “We are also delighted that over 10,000 runners reached the Finishing Line in the last four editions of the trial”, which is the first race event of the year in Valencia ‘The Running City’. On the 2nd of June, the times set by Josphat Boit (42:02) and Chemtai Lonah (47:38) in the 15-kilometre Valencia Banco Mediolanum Night Race beat all previous times for this distance in Spain. The event also set the best time worldwide for a 15-kilometre trial in 2018. Rafa Blanquer Ángel, the organiser of the trial, stressed that “Being the first 15-kilometre race in the world to be awarded an IAAF Label makes us very proud and spurs us on to consolidate the trial as a top event. We are sure that together with Banco Mediolanum (bank) and Valencia ‘The Running City’, we will achieve everything we set our sights on”. Paco Borao, President of SD Correcaminos (running club) and of AIMS — and who is also a member of the IAAF Race Committee — noted that “The path begun with the Valencia Half-Marathon and Marathon led to each of these two trials being the first in Spain to be awarded the IAAF Gold Label. They are now joined by other IAAF Label events in the city, further strengthening Valencia’s positioning as a top world destination for road-running”. The awarding of the two new IAAF Labels and inclusion of the two races in the Royal Spanish Athletics Federation (RFEA) trials was achieved thanks to the support of Fundación Trinidad Alfonso (foundation). 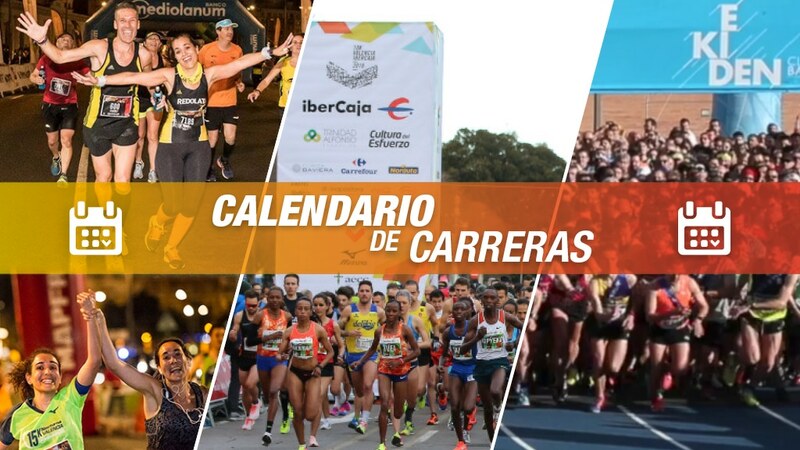 The Foundation both backed the Valencia ‘The Running City’ brand and helped in getting the RFEA to include the two trials in its National Calendar. Elena Tejedor, Director of Fundación Trinidad Alfonso, noted that “This achievement will help us continue building the project for Valencia ‘The Running City’ both in catering to Valencian runners and in making the city a magnet for those seeking the world’s best trials”. Finally, Raúl Chapado, Spanish Athletics Federation, told that “having vision and dreams is important, but the most important thing is making things happen and this is what Valencia City of Running is achieving. This IAAF Labels are prestigious and also are quality certifies. Now, the Valencian and Spanish athletism is better”.